British MotoGP coverage set for move to BT Vision? It seems the 2014 rumour mill has started early this year, not quite for rider signings but for TV rights. 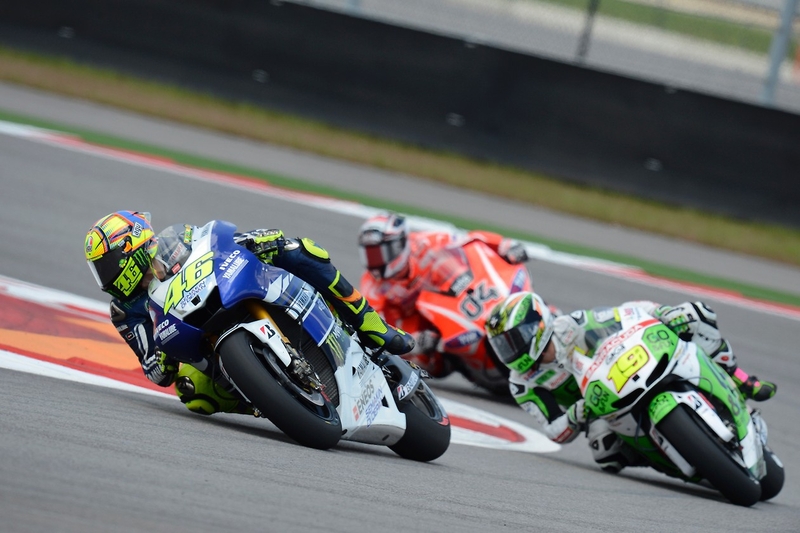 At the end of the 2013 season the contracts of rights for MotoGP between Dorna, BBC and Eurosport will come to an end. Throughout the last year there have been rumours circulating that the BBC had perhaps bought exclusive rights to MotoGP coverage, or that it may be heading back to Eurosport full time. After buying F1 rights from the BBC Sky were also thrown into the rumour mill..
More recently rumours have emerged that BT were in for the bid for rights to MotoGP. In fact it is starting to look more and more likely that BT have swooped in and bought out both the Beeb and Eurosport. Twitter lit up with debate early this morning as several tweeters claimed the deal was done. PaddockChatter.com spoke to a BT employee this morning who said that its looking incredibly likely BT has secured the rights and whilst the company is “set” to have its own channels on Sky, Virgin etc. nothing as yet is being done about it. The deal could see far more indepth coverage of MotoGP, in similar fashion to that of MotoGP.com – with selectable onboard cameras, and different views of the racing, as BTs answer to SkyF1. They have been seen to invest a large amount of cash into their sporting coverage, just last year they bought rights to the Premier League and signed Jake Humphreys from BBC F1 as a presenter. The main downside to the deal is that MotoGP will no longer be available ‘for free’ on British TV, meaning that fans will have to pay out somewhere, either to MotoGP for online video subscription, or for some extra channels on their telebox. BTs PR team refused to comment, claiming they “don’t respond to rumour and speculation”. The deal is still to be officially confirmed. More when we have it. Well if your listening Mr SkyBSB man, you'd best sort it for free or i'll be binning all my services and using my free TalkTalk box.. No MotoGP means no Sky at all for me….Couldn't give a rats arse about your F1 coverage TBH.. This is a request to Dorna chief Carmelo Ezpeleta by UK MotoGP fans to either switch the 2014 TV rights back to the BBC or to allow Eurosport to show delayed full coverage. In a recent online poll, 90% of UK MotoGP fans said they thought that the new 2014 BT deal was a terrible idea. The general consensus online is that most fans will not sign up to BT which will cut viewing figures severely. Effectively killing MotoGP in the UK. Give us back our motorcycle grand prix sport on TV. We have a problem with mainstream UK media ignoring requests to let UK race fans know about this petition…..so please email every website, magazine and paper please. Next Next post: Nominate your Rider of The Month now!